Being an avid newbie runner, I get excited to try different things that can help further my advancement (read: training) in running. Heehee. Though I have no plans of joining marathons just yet (di pa ko past over my 10k hump guuuuuys) I am just happy that I can run regularly. Recently, I was able to try out my newest pair of running shoes–MBT. My Ahia Jeff of Pinoy Fitness & I tested our MBT running shoes. He being a veteran runner has a review of his own. You can read it over his site www.pinoyfitness.com. Meanwhile, I on the other hand have just have a few words to say about my MBT pair. One of the things I look for in a running shoe is the comfort it can give for newbies like me and MBT did not disappoint. Focusing on impact absorption, foot propulsion, impact support, and recovery. With cushioning and protection in every step, MBT® footwear has created an innovative technology that adapts to the runner. Consisting of 3 different profiles – FAST, PERFORMANCE and CUSHIONING, giving you what you need in support of your love of running everyday. The new MBT GT 17 isn’t just a running shoe. It’s a running revolution. 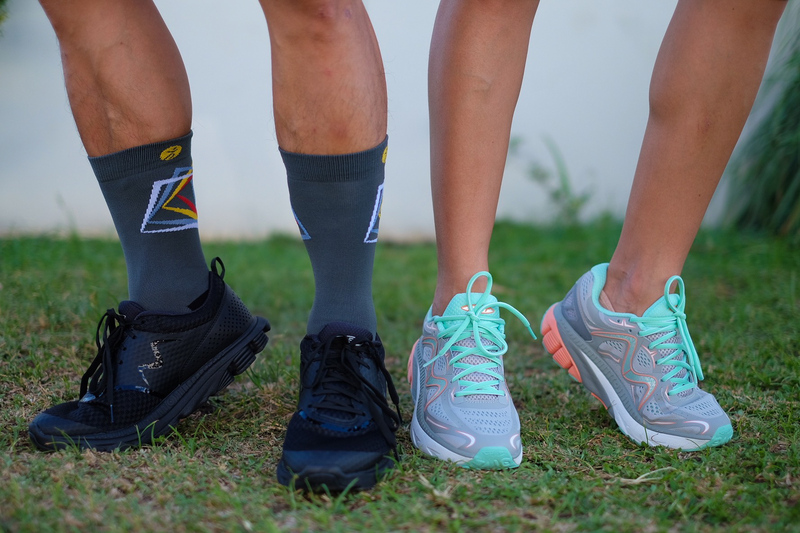 The tri-density, rocker sole enables you to transition from heel, to mid-foot and toe off efficiently. 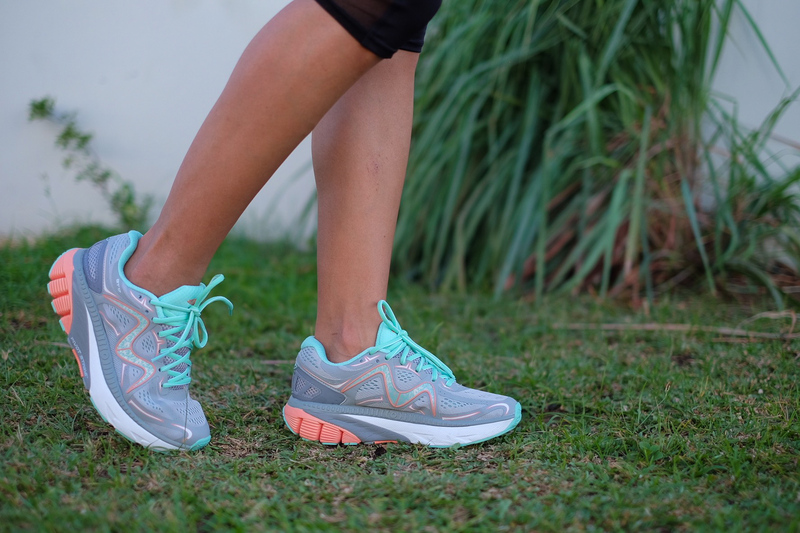 It provides cushioning and protection with the Pivot Strike promoting a natural gait with every stride. It is good for longer distance runs requiring added cushioning and improved mid-foot to forefoot transition. I like my MBT GT17 in Gray/Teal/Peach colorway. Since I usually go for black activewear, this pair gives a bit of color to my outfit. I also like that it supports my heel well, perfect for a heel striker like me and padded sole pretty much absorbs impact when landing. For some reason I feel light when running with it. MBT is exclusively distributed by Store Specialists, Inc. and is available in MBT stores in Glorietta 2, Estancia Mall, Rustan’s Alabang, and Rustan’s Shangri-La.